You might finally be getting over your fall allergies and expecting allergy relief for the winter, but find yourself still experiencing seasonal allergy symptoms in December. Your December allergies can be caused by indoor allergens that are more prevalent during the cold and dry weather. Here are some tips that I use to stop sneezing and feeling like garbage during the transition into winter. Since there is barely any allergenic pollen in the air after the first frost occurs in the fall, it’s likely that you aren’t experiencing seasonal allergy symptoms due to the outside world. What happens in the fall is that around the end of August, ragweed plants begin to sprout up everywhere and shoot out their pollen into the air. Ragweed is commonly found along roads and in many peoples’ backyards. The first time of the year when the ground freezes and snow occurs, this kills all the ragweed and makes them dormant until next August. That means around the month of November, you should stop experiencing ragweed allergy symptoms. But you are still sneezing and feeling groggy right? I think the most simple and straight-forward information about this is that indoor allergens are more prevalent during the December and winter months. One of the major allergens that humans suffer from is dust, which is more harmful when the weather is dry and cold. During the warmer months, dust is less harmful because the moisture present in the environment brings the dust particles down and out of your face. But the problem is not only with dust, but with other indoor chemicals like cleaning products as well as microscopic organisms like dust mites and mold. Basically, the winter months are allergenic unlike many people believe, but it is not due to pollen in the outside air. The beginning of the winter season is a time of seasonal change that I don’t think enough people consider. If you celebrate the holidays, then you will decorate your home with stuff that has been sitting in your attic for a while. If you consider that, you’ll probably realize that you could have a lot of dust and mold circulating your home after you set up your holiday decorations. Especially for people that have a plastic Christmas tree, or other types of decorations for different holidays, you could be polluting your indoor air with a lot of harmful stuff that could be affecting your family’s health. Let’s discuss a few December allergy triggers that could be problematic during the transition into the winter months. The wet season in the beginning of December is the perfect opportunity for mold to grow and expand. Our homes are the most vulnerable structures for mold infestation because mold can break down the integrity of building structures over time. When this happens, mold overgrows and pollutes the indoor air that we breathe with mold spores that we accidentally breathe in. Mold spores are extremely allergenic and compromising to our health because all of us are allergic to mold with varying types of severity. It should be a priority to get rid of it from every person’s home, especially if you live in an area that is wet or near water. Like any allergy, symptoms that occur after exposure to mold are caused by an overactive immune system trying to get rid of an invader. 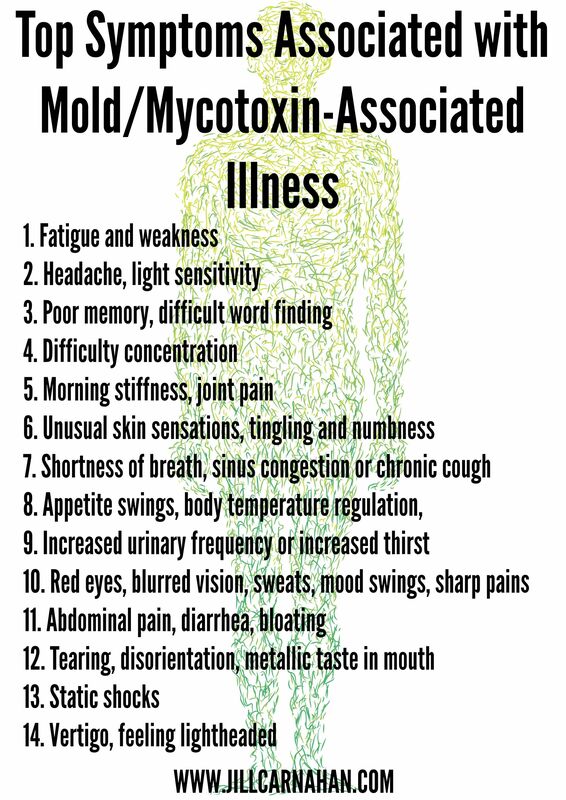 Our body produces an inflammatory response when we breathe in microscopic mold spores because the mold can spread inside of us if it isn’t killed. If you suspect your home of having a mold infestation, you can take several measures to make sure that the problem does not get worse. First and foremost, you should consider that mold loves moisture, especially the nutritious kind of moisture in your food. If you leave food out and open for too long, or improperly store it, mold may begin to grow and spread prematurely. The colder your stored food is, the slower it will take for microorganisms to colonize it. To prevent mold from growing in the first place, you should make sure that conventionally humid and warm areas don’t get too warm and wet. This includes areas of your house like bathrooms, damp basements, attics, and even some laundry rooms. The best things to do would be to invest in a quality dehumidifier for these rooms while also allowing fresh air and sunlight to circulate the room, especially after showering or cooking. Most of the mold found in our homes is invisible growing in our walls, under our floors, and many other places you probably don’t want to think about. If you see a visible patch of mold in your home, you can kill it easily and naturally without the need for health-compromising chemical cleaners. If you identify a growing patch of mold or mildew in your home, you could spray or scrub it with tea tree oil or white vinegar. This device does wonders for cleaning indoor allergens in my home that a wet cloth could never do. It’s on sale for 70% off here! Dander from your pets or even other humans can get kicked up into the air and cause irritation and inflammation in our respiratory tract during the dry winters. During the spring and summer seasons, dust and dander aren’t usually a major problem because of the natural moisture that exists in the air. Thinking about it foundationally, the sun and its heat are stronger during this season, promoting evaporation and condensation of water. The water vapor that is present in the air lets dust and dander cling onto it, making it heavy and bringing it down away from your face. However, there is much less water in the air during the winter, so this is going to be our issue for this season, rather than pollen from plants. Obviously, you should dust your home regularly and I personally choose to do it once a week. However, I think that there are many dusty things in our homes that contain dust and we overlook cleaning them. Electronics like computers, televisions, stereos, and printers collect dust inside of them. This is especially true for older equipment that has not been designed to resist dust build up over time. Investing in electronic-cleaning equipment is a great idea. Small vacuums, duster sprays, and special brushes can really get into there and clean problematic dust that you come in contact with frequently. Since everybody’s home is unique, it would be impossible for me to give cleaning advice that is efficient for everybody. You could use your imagination to think about where dust might collect. Cleaning cabinets is very important as well as toys that children play with. Beanbag toys, plush toys, and dolls should be cleaned more regularly because our children are extra sensitive to allergens as they develop. Plus, they are very active and kick up a lot of dust and dander. Honestly, I’m very shocked that it’s the year that it is and we still think that using feather dusters is an effective way to clean dust. It’s not and it just scatters the dust around the room, in the air and in your face. Then, it settles and quickly restarts a problem that was just made even worse. The best way to clean dust is to collect it and dispose of it. Water is definitely your friend when trying to trap dust and dander. Some areas that we forget about in our homes that generate massive amounts of dust are behind our appliances like stoves and refrigerators along with grease and food crumbs that attract pests. The first thing that you should dust is actually the vents in your home because dust inevitably ventilates through here and collects over time. There are vacuum attachments designed for cleaning vents, but a wet cloth can also change the game. The same can be said about ceiling fans. During the dry winter months, I realize that the problems causing my allergies are small particulates that get trapped in my sinuses and respiratory system. Indoor air pollution and allergies are definitely to be focused on during the winter. Therefore, it is an effective approach to try to physically get them out by force. The best way to do this is with a neti pot for allergies. This is a natural home remedy for allergies that our ancestors have been using for centuries. Simply fill this cute pot with warm water or saline solution and pour through each nostril. Many people are afraid to try to use the neti pot for the first time because they are scared that they might inhale by accident and choke. But honestly, this shouldn’t be a problem if you are just aware that you shouldn’t inhale through your nose or you can just hold your breath. This method feels absolutely wonderful after you do it and it gets everything out that’s irritating your sinuses. Whether it be dust, seasonal pollen, or other microscopic things you don’t want to think about, a neti pot should help you get it all out easily. Especially in the winter, you should feel fresh and invigorated with all the fresh air and oxygen available to you after flushing with a neti pot. Another great method that I highly recommend is the use of a natural and gentle nasal spray for allergies. It pretty much does the same job as a neti pot, but can prevent the further accumulation of particulates in your sinuses. Some effective natural nasal sprays contain harmless ingredients that soothe inflammation and moisturize as well. Thanks for all your support and attention. These topics are very important to me because they have affected my life since I could remember. If you have a question or something to add about how to get rid of December allergies, please leave me a comment below!